Our Lil Ninjas’ program is designed to teach children, ages 4 and 5, discipline and important life skills, such as stranger danger and bully awareness. The Lil Ninjas’ program is also designed to enhance BALANCE, COORDINATION, SELF-CONTROL, and FOCUS in a fun and exciting atmosphere. Our Mighty Dragons program is designed to teach children ages 6 and 7 discipline and important life skills, such as stranger danger and bully awareness. The Mighty Dragons’ program is also designed to enhance BALANCE, COORDINATION, SELF-CONTROL, and FOCUS in a fun and exciting atmosphere. Tae Kwon Do, which originated in Korea, is a style of martial arts best known for its dynamic kicking skills. Boxing, which originated in ancient Greece as an Olympic Sport, is best known for its powerful punching techniques. Brazilian Jiu Jitsu is a style of martial arts that branched off of the Japanese form of Jiu Jitsu. It is designed to give the smaller guy a fighting chance against a larger opponent. This art levels the playing field by teaching submissions, such as arm bars, chokes, leg locks, and key locks, to submit an attacker. Muay Thai is a combat sport from Thailand that uses stand-up striking and kicking along with various clinching techniques. Japanese Karate is a striking art using punching, kicking, knee and elbow strikes, and open-handed techniques such as knife-hands and palm heels. Israeli Combat, developed in Israel, is a noncompetitive martial art and eclectic self-defense system, which involves striking techniques, wrestling, and grappling. Known for its focus on real-world situations and extremely efficient counter-attacks, Israeli Combat practices the philosophy of emphasizing threat neutralization with simultaneous defensive and offensive maneuvers, to fight aggression with aggression. National Karate MMA classes are taught by professional Black Belt instructors. Coach Brian Plempel, 6th degree black belt, and Coach Andrew Maness, 5th degree black belt, are passionate and detailed oriented when it comes to teaching marital arts. Together, Coach Drew and Coach Brian have over 50+ years’ experience teaching martial arts. Our #1 goal is to instill the Black Belt Attitude in each of our students. With THE proper Black Belt Attitude, words like “Can’t” and “Too Difficult” seem to disappear. This attitude carries into EVERY aspect of our students’ lives helping them mature into fine upstanding citizens who exude character traits like honor, integrity, courtesy, respect, loyalty, self-control, perseverance, and an indomitable spirit. Training in Karate takes many people out of their comfort zones. Karate is physically very dynamic with a lot of active movements and poses from other perspectives. 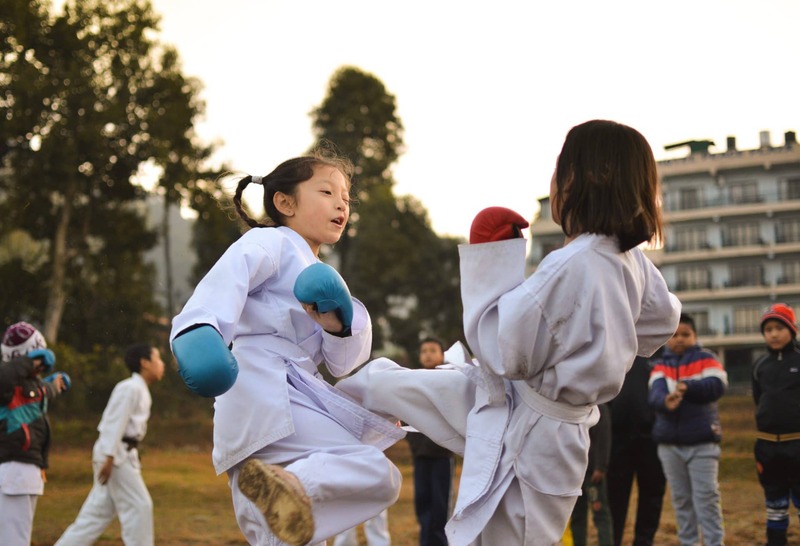 Many parents at National Karate MMA enjoy enrolling their child in Taekwondo because it is a total learning activity that involves basic forms, board breaking, kicking, striking, and punching. This helps a child’s coordination, balance, and physical fitness. Taekwondo also helps students at National Karate MMA learn self-discipline, respect, and focus. Many parents at National Karate MMA of Summerville see an improvement in their child’s learning and an increased attention span and focus in school. National Karate MMA is dedicated to empowering you or your child with the confidence and self-esteem needed to succeed in everyday life. Karate can bring out the positive qualities that have always been a part of you or your child, whether that is inner calm, positive mental attitude, patience, or self-discipline. Karate will help you overcome fear, anger and self-doubt, and leave you feeling confident in any situation. Karate is a total body workout because it involves a lot of explosive punches, kicks, strength, agility. At National Karate MMA, we know the importance of a healthy mind and body. Child-obesity is a serious problem in the United States, so introducing your child to martial arts is a great way to combat that. In Karate, you’ll burn hundreds of calories in each class, develop lean muscles, and boost flexibility. Karate is a high-energy training class that is great for overall health and weight loss. 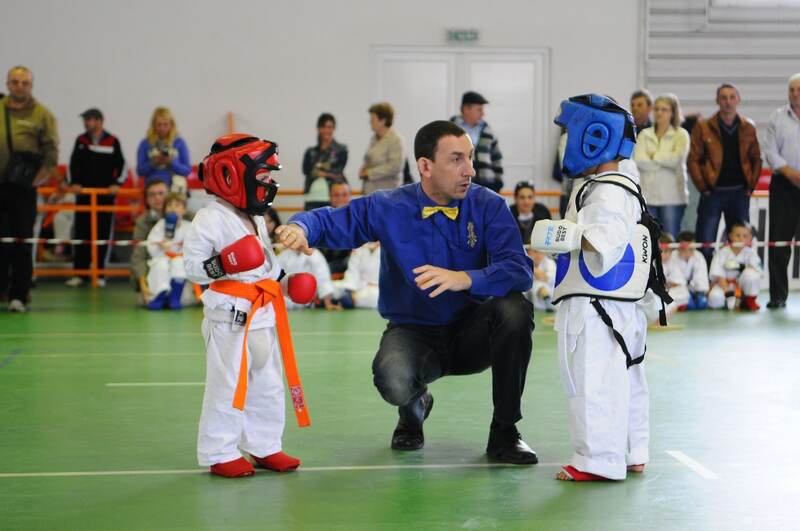 Many parents also choose to enroll their children in Karate because it is a great opportunity to make friends. During class, there will be many children kicking and punching together. We create a friendly atmosphere where the children are motivated to help each other achieve their individual goals. Members at National Karate MMA have become close friends and help each other kick harder, faster, and higher. Learning Karate at National Karate MMA will benefit you and your child immensely. Karate helps build mental toughness, teaches the value of hard work, and gives you the persistence you need in everyday life. Many members at National Karate MMA have said that Karate is also a great stress-relief from school or work because it helps take their mind off problems they are facing so they can focus all their strength and thoughts into punching and kicking targets.